There are so many things you could be doing for your business: social media, blog posts, conferences … and the list goes on endlessly. How do you choose the right thing to spend your time on? You filter all of your decisions through the lens of where you want to go: if it’ll be bring you closer to your goal. 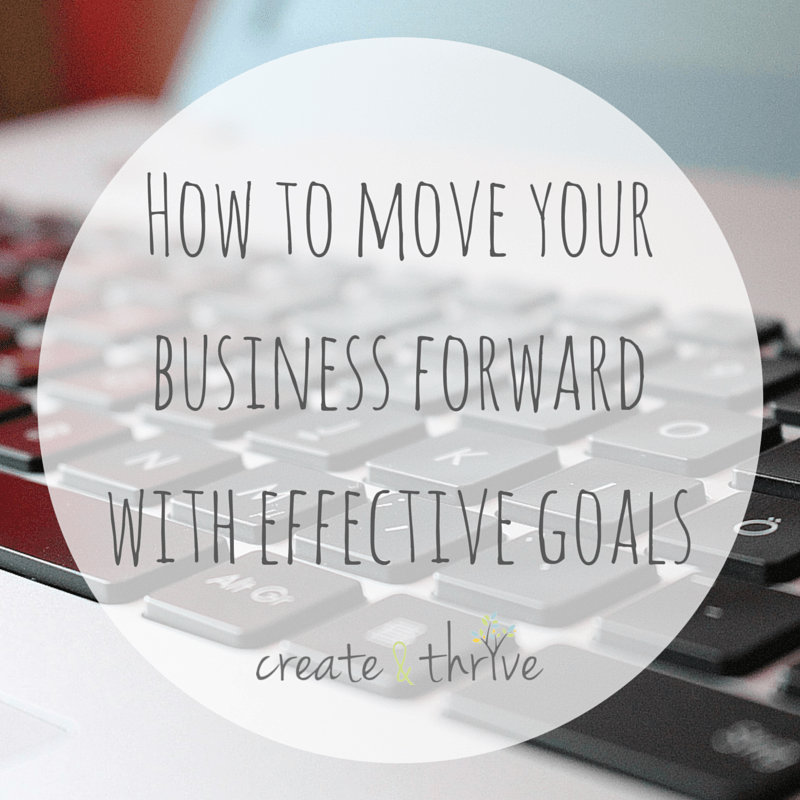 But how do you choose the goal that will move your business forward? How do you set a goal you’ll actually follow? Know the big picture of your business and your dream. You might be tempted to skip this step, because you already know all this, right? But I find that most of us have a shifting Ideal Business, that changes as we learn more about business and ourselves. We’re also influenced by the latest “success story” we read and what we think we’d like life to be like. If you don’t take a good look at what you want from your business, right now, you may set a goal that’s not related to where you really want to go. There are some goals that are life-long (I want a really lovely rose garden…but not next month or even next quarter) and others are for this year (finishing a big project, growing to a certain size) and yet others that fit within the next three months. I revisit my goals every quarter and just pick one to focus on for the next 3 months. Choose a goal that inspires. From over 5 years of Map Making (This site/resource is no longer available) with students, I’ve learned that different people find different goals inspiring. Some of us (like me!) want a big crazy goal that’s a smidge out of reach. We benefit from setting the bar too high, because we’ll push harder to do a bit more than we would with a more “realistic” goal. But others (many of my students!) need a realistic, reachable goal, so that they can have the experience of success – which builds confidence and momentum. It’s OK if you don’t know what kind of goal suits you best – just experiment! Pick a big crazy goal and think it through – when you imagine working towards this goal, do you feel motivated or defeated? Now pick a more realistic goal and imagine yourself working toward this for the next three months – do you feel motivated or bored? No matter what your goal is, it’ll only be achieved if you truly dedicate yourself to it. This usually involves mapping out all the steps, identifying any of the possible roadblocks, and scheduling in time to work on it. The rest of your business (and life) will distract you and keep you busy, so you have to prioritize working on the things that really matter to you. As soon as you set a goal, put a weekly time on your calendar just for working on that goal – it’ll make all the difference in actually achieving it. Above all, don’t worry about picking the “right” goal. If you pick any goal in alignment with your business vision and you really dedicate yourself to working on it, you will see a change in your business. It might not end up being the most motivating goal or give you the exact results you wanted … but that’s OK! Use what you learned from this goal and apply it to the next one! Continue learning what works for you, what you want out of your business, and what truly brings the results you want and every goal will be worth it.